Clinical research is too sketchy to state definitively that omega-3 does help fibromyalgia. However, omega-3 fatty acids are very well recognised for their anti- inflammatory capabilities in diseases similar to fibromyalgia, such as osteo- and rheumatoid arthritis. Although more study must be done specifically targeting fibromyalgia, scientists and medical doctors do believe that using omega-3 for fibromyalgia is beneficial. The medical literature is replete with documentation proving the benefits of omega-3 fatty acids for cardiovascular and joint health. However, to date (2012), there has been only one small study showing the benefits of omega-3 for fibromyalgia. Omega-3 fatty acids serve as precursors to chemicals which help to reduce the pain of inflammation. In contrast, omega-6 fatty acids cause or increase inflammation and chronic pain. Omega-3 fatty acids act as anti-inflammatory agents. While no scientific evidence exists to prove why omega-3 reduces pain in fibromyalgia, some researchers suggest that omega-3 fatty acids reduce the release of cytokines in white blood cells. Cytokines are believed to produce, or at least play a role in, fibromyalgia pain. This Canadian study reported that one fibromyalgia subject was able to reduce her pain scale from 8 out of 10 to 3 out of 10 after seven months on omega-3 fatty acids. The authors of the study stressed the importance of a high-quality omega-3 product. Consumers should look for the highest concentration of EPA/DHA per serving. If taking fish oil, look for a product which is produced in a cold weather country near the Arctic Circle. Fish harvested in warm waters may contain toxic levels of mercury. Many people with fibromyalgia have sensitivities to mercury. The authors of the study recommend taking omega-3 fatty acid supplements such as fish oil for at least six months. For fibromyalgia, if the supplements cause nausea or belching, try taking the fish oil in capsules and freezing them before consuming them. Take the omega-3 supplements with food, spitting the dosages up over several meals. The authors of the study also suggest taking omega-3 supplements with Lyrica or Cymbalta in cases of severe pain. In addition to cold water fish, wild caught cold water salmon, sardines, and herring, are excellent sources of omega-3 fatty acids. Unfortunately, due to high mercury levels, albacore tuna can no longer be recommended as a safe source of omega-3 for fibromyalgia. For fibromyalgia patients, in particular, it is highly recommended that foods high in omega-6 fatty acids be completely avoided, if possible. These foods include commercially produced animal products (grass-fed and pasture finished meat may be well-tolerated), dairy products, and all refined vegetable oils. 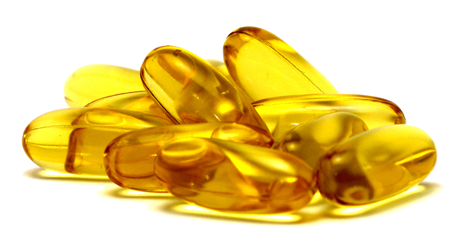 Are omega-3 fatty acids nature’s pain relievers? A University of Pittsburg Medical Center study suggests that using omega-3 fatty acids may help patients afflicted with pain associated with inflammation. This study reported that 125 patients who were experiencing back pain too 2400mg omega-3 capsules along with their normal amount of NSAIDs (ibuprofen, naproxen, aspirin, Celebrex, etc.) for two weeks. At two weeks, the patients were asked to decrease their omega-3 intake to 1200mg and get completely off their NSAIDs for two weeks. At the end of the study, 59% of the participants stated that they had gotten completely off their NSAIDs, while 88% said they would continue taking omega-3 supplements. Besides decreasing pain, omega-3 fatty acids boost the immune system, dilate blood vessels, and decrease blood clotting. 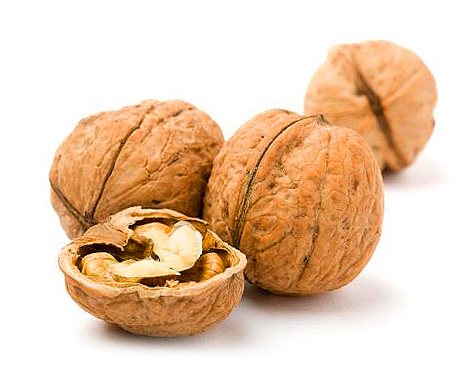 The FDA notes that omega-3 fatty acids reduce the risk of heart disease. Of course, moderation must be observed. Overdosing on omega-3 fatty acids can cause heart problems in cardiac patients, blood clotting problems in people who are on blood thinners, nose bleeds, and other systemic imbalances.